Are you a new mom prepping for the days and weeks after baby’s arrival? Let me give you a heads up! You’re probably going to be really sore “down there” after labor. If you’re thinking about self-care after baby, good for you! It can be easy to get so wrapped up in planning for your new arrival that you completely forget to plan for yourself and your own healing process. Postpartum healing will require a few different tools to help soothe the pain, reduce swelling, and clean any tears or stitched areas. Postpartum ice packs reduce swelling and soothe sore areas — helping you feel more comfortable in the days after childbirth, so you can enjoy time with your newborn! There are major benefits to using ice packs specifically designed for postpartum women. We’ll review those benefits and also check out some of the awesome postpartum ice packs available. 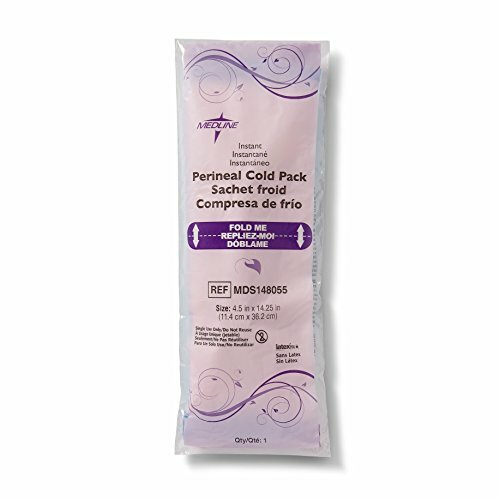 Use the links above to check the latest prices or read our in-depth postpartum ice pack reviews below. Do I Need a Postpartum Ice Pack? Veteran moms probably remember the postpartum days in great detail. I know I do. During pregnancy, it never even occurred to me that I wouldn’t feel well after delivery. The truth is, the days after childbirth are filled with so many joys. But they are also marked by vaginal soreness, swelling, and strange bodily processes. Ice packs designed for postpartum women can help you recover more comfortably. When I was postpartum, ice packs were my cure-all. I felt like I found so many different uses for them and, for a while afterward, couldn’t remember my life without ice packs. Even though ice packs sound pretty straightforward, there are different features out there. It might be a good idea to familiarize yourself with the different postpartum issues, and the way various ice pack features can help with them. The healing power of cool temperatures is pretty magical. Until cooling gel came around, however, you had no choice but to deal with the messiness of ice. As we all know, ice melts — leaving cold water in its wake. With all of the other stuff going on in your postpartum days, the last thing you want to do is change your pants every 30 minutes because your ice pack melted and made you soaking wet. Ice packs that use gel, rather than water, will help reduce pain and swelling without getting you wet in the process. In other words, throw that pack of frozen peas away! There are better options out there. Perineal pain: During labor, your perineum will have to stretch considerably to allow your baby to pass through the birth canal and into the world. The stretching can cause tearing or require stitches — both of which could be painful for weeks afterward (source). Postpartum swelling: For a few days after childbirth, you will be swollen in this area. Cooling pads can help to reduce the discomfort associated with that. Breast swelling: In the days after childbirth, most women will experience their milk “coming in” (source). Your milk coming in can be a weird, and painful, process. Applying ice after feedings can help to reduce swelling. Some ice packs can also be heated and used for other kinds of postpartum issues. Hot compresses are another great way to address pain. They can also be critical for moms who decide to breastfeed. Milk flow: A hot compress can help milk flow faster if done before a feeding session (source). Releasing all of your milk during sessions will help you avoid breast engorgement. Postpartum cramping: In the days after childbirth, your uterus will try to get back to its normal size. This could cause painful, period-like cramping. Hot compresses can help reduce the pain. Postpartum muscle soreness: You just pushed a baby out of your body. There are bound to be a few pulled muscles here and there. Hot compresses can help with that. In the past, some women froze a bunch of maxi pads before giving birth. 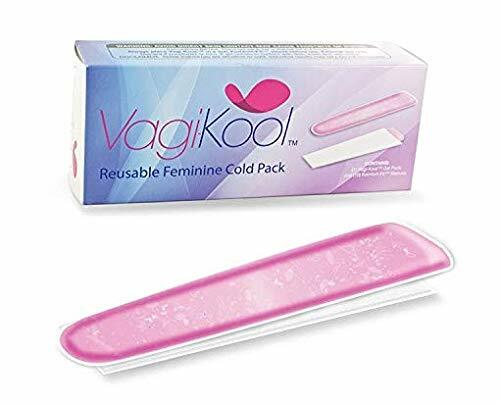 This allowed them to get the soothing cool temperatures and the absorbent material needed to help with vaginal discharge. Today, there are products on the market specifically designed to do both. 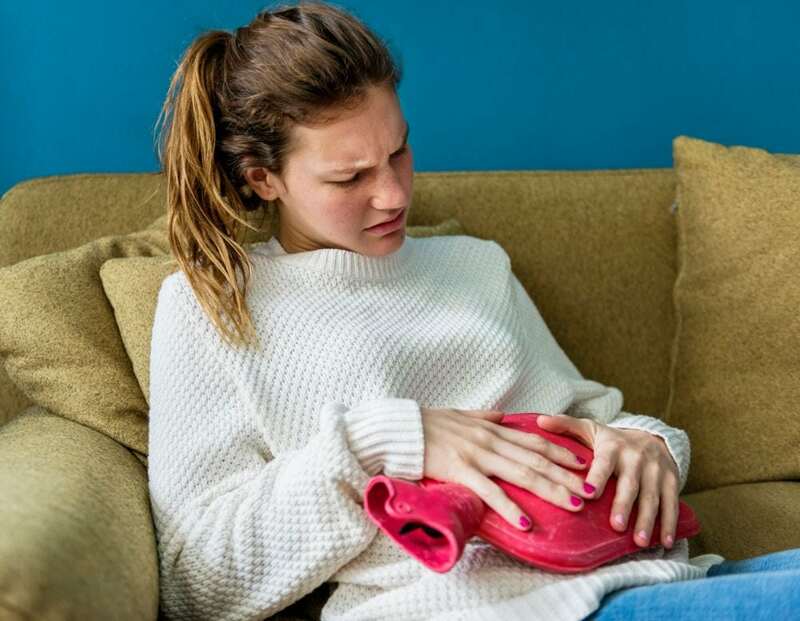 Lochia: After you give birth, your body has to get rid of the excess tissue and blood it built up during pregnancy, also known as lochia, to support the growth of your baby (source). This can be heavy in the first days, so finding an ice pack that can also absorb discharge will help you address two things at once! For some moms, ice packs can be their best friend in the days after giving birth. Buying ice packs designed to fit your lady parts can make the process more convenient and so much more comfortable. These reusable gel pads are made for moms, by moms. They are designed to fit in your underwear perfectly, without bulkiness. If you’re on the go, this is critical. Some moms find that warmth brings more relief than cold when it comes to swelling or pain down there. 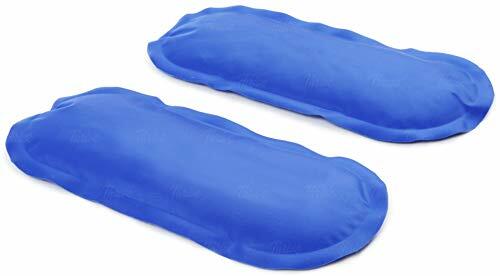 If that is your case, these pads can also be warmed in hot water and will stay warm for up to 30 minutes! The pads themselves are filled with a gel, which is made from food-grade, vegan ingredients. For moms who want to keep it as natural as possible and avoid toxic products, this feature provides an extra level of security. Finally, the pads are also designed to stay flexible when frozen. No one likes the idea of walking around with a stiff, frozen stick in their underwear. These pads will move and bend with you, making it more comfortable to do what you need to do. Comes with five reusable, washable covers to keep the pads clean from vaginal discharge or blood. Designed to fit securely in your underwear. Vegan gel ingredients expire after about eight weeks. This reusable ice pack is made with non-toxic ingredients and is latex-free. 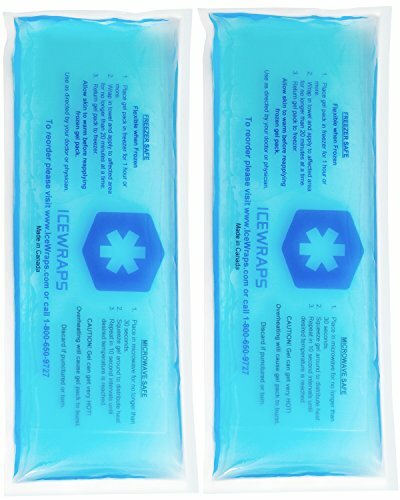 Ice packs stay close to your body so, for people with allergies or sensitivities to latex, this could be a life saver. These packs are designed to fit snugly in your underwear. Because they remain flexible when frozen, they can adapt to different body sizes and shapes. This is important from a comfort aspect — you’ll want that cooling material to touch everything it can down there. For the women who want to have a cold pack on some occasions, and a warming pad for others, this pack can also be heated in hot water. This is nice if you want the pad to double as comfort for engorged breasts or aching muscles. For added comfort, the pack comes with a reusable sleeve to help keep the pad clean during use. As we talked about above, your body will see quite a bit of discharge after birth, so your ice pack is sure to get a bit dirty. Designed to contour to the vaginal area for maximum comfort. Comes in a fun, pink color. Latex-free to reduce the potential for irritation. Made in an FDA-approved facility. Only comes with one reusable sleeve. Includes just one cooling pad. If this is your second child, you will most likely be on the go in your postpartum days more than you were with your first. Preschoolers and toddlers don’t like to stay home for long, and they will want to go to the playground — perineal pain or not! This ice pack combines many of the healing tools you need into one. They are meant to be frozen to help provide relief from pain and swelling, but they are also absorbent maxi pads that can take on the vaginal discharge which comes with childbirth. Because they are maxi pads, they come with an adhesive strip which makes sure they stay put in your underwear. The last thing you want to see is your postpartum ice pack in the playground mulch. These pads are disposable and come in packs of 24. This will reduce opportunities for being caught without a frozen one, which can sometimes be the case with reusable ice packs. Can absorb discharge in addition to cooling relief. Disposable, which means they are less eco-friendly. Eventually, you will no longer be considered postpartum. While those days feel chaotic and like they will last forever, you do eventually find a new normal. At some point, you may even feel like exercising again. If you’re looking for something that will work for both the postpartum days and the days after them, these ice packs are a great option. While not perfectly designed to fit inside your underwear, they are in the same oblong style so they fit the perineal area. Once you’re no longer postpartum, you can easily use them to ice sore muscles or small injuries, and no one will ever know you once used them to ice your lady parts. They have a soft fabric covering, which will make them more comfortable and provide an extra layer of separation between your skin and the frozen gel. It’s a great feature for moms who may have sensitive skin. Comes with a travel bag for staying clean on the go. Reviewers noticed they stay cold for a long time. Can feel a bit bulky in your underwear. These ice packs are designed to get to the point. They are reusable, which will help to reduce your impact on the environment and save you money. While they are not rounded at the ends like some of the other ice packs, they are narrow and long so they fit your underwear and cover the entire perineal area. With their medical-grade plastic covers, they’re easy to clean and difficult to tear or break. These packs are also designed to be heated or frozen — allowing you to choose the option that is most soothing for you. You can even heat them in the microwave, adding to their convenience. Their plastic covering allows the packs to be flexible. They can, therefore, fit many different parts of the body and provide relief where you need it — perineum, breasts, stomach, or head. Does not come with sanitary covers. Squared edges may irritate surrounding skin. There’s not a lot you can do to avoid the discomfort of your postpartum days. There are things, however, that can make them better and shorter. Postpartum ice packs are one of them. My personal favorites are the TendHer reusable cooling pads. In my days, I needed cooling pads for swelling and heated pads to relieve engorgement pain. These pads could easily shift gears when I needed them to. Did you use ice packs during your postpartum days? If so, tell us about the features that were critical to your recovery! Our comments section below is a great place to share tips and get advice. Also, please share this article with other new moms. They may not know what they are up against!